Rating: 5.2/10. From 39 votes. 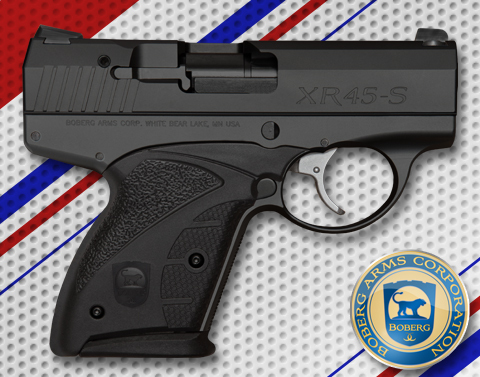 Summary: The description, specs, photos, pricing and user ratings for the Boberg Arms XR45-S pistol. 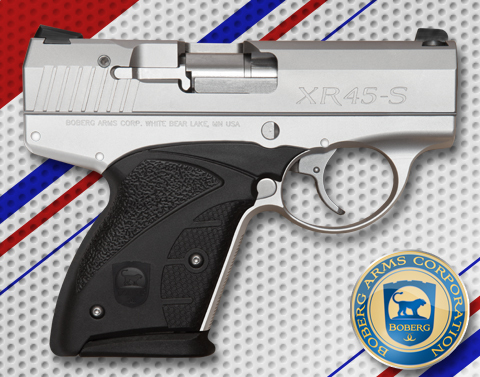 Boberg Arms‘ XR45-S pistol (the “S” stands for Shorty) is a subcompact, double-action-only semiauto pistol built on a 7075-T6 aluminum alloy frame and chambered in .45 ACP (it can handle +P rounds). This gun follows Boberg’s XR9-S, a 9mm pistol first shipped last year, into the marketplace. 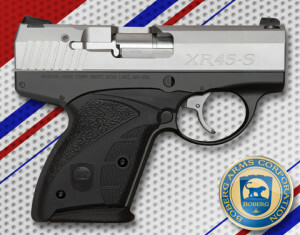 The XR45-S from the right with an onyx frame and nickel/chrome slide. Available slide finishes include onyx, nickel/chrome satin and platinum. Boberg says it will also offer extended barrels 4.2″ and 4.6″ long. Boberg says the XR45-S will ship this spring. .45 ACP 6+1 3.75″ 5.77″ 1.08″ 4.4″ 21 oz. The XR45-S from the right with the onyx finish. The XR45-S from the right with the platinum finish. This entry was posted in .45 ACP, $1,001-$1,250, Boberg Arms, Semiauto, Subcompact on January 28, 2014 by Staff.